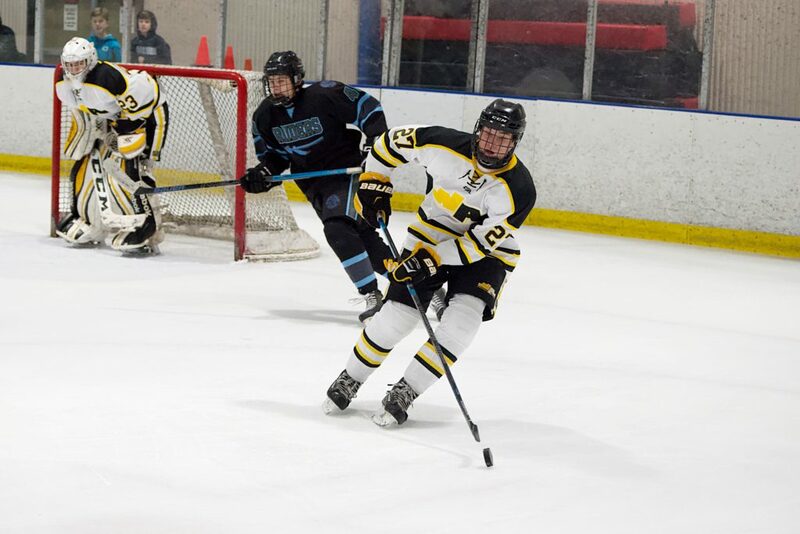 WARRENDALE, Pa. — The final matchup of the evening saw Tyler Lamark score his second of the night with just over 19 seconds remaining to give the North Allegheny a 2-1 victory over Seneca Valley in a pivotal matchup in triple-A. After a scoreless first, Lamark and Austin Albert exchanged goals in a defensive-first matchup that featured superb goaltending from both Richard Karapandi (11-3, .938) and Aidan Campbell (5-3-1, .919). Lamark found the back of the net late in the third to seal the victory for the Tigers. North Allegheny stays on pace with Bethel Park, who host Mt. Lebanon on Thursday and Peters Township on Tuesday. The Tigers host Butler on Monday to attempt to keep pace with the Blackhawks. Seneca Valley closes their season against Cathedral Prep at home on Monday in a pivotal matchup for the final three seeds in the classification.